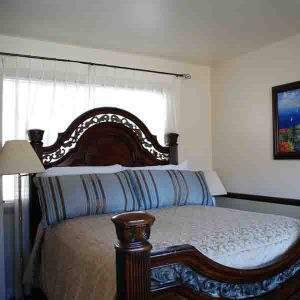 Catalina Island is rich in places to stay on vacation that enhance your time on the Island. Other than the accommodation, Catalina Island is full of recreational activities that you can engage in. For those traveling on a budget, Catalina Island discount hotels are available. Living on a shoestring will not necessarily keep you from experiencing Catalina Island. The island has two towns with different settings altogether. If you want a quiet place for a vacation, you have Two Harbors located on the western side of the Island. If you are looking for fun having more of a city feel, then Avalon which, located on the eastern side of the Island, has got all you need. We have a couple of featured choices for Catalina Island discount hotels and both are in Avalon. 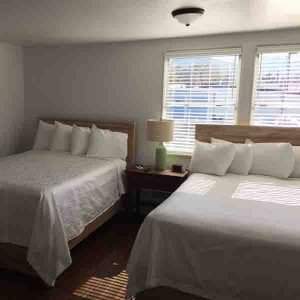 Located in the center of Avalon, the Seacrest Inn has long established itself as one of the best Catalina Island discount hotels. It is not pretentious and offers everything you need even if you are traveling on a budget. Most of the rooms have spa tubs with showers and each is decorated with a different theme. The homey atmosphere adds to the charm of this long-established hotel. There is even a rooftop deck for your enjoyment with great views of the Avalon area. First of all, no matter what your type of vacation looks like, you can find the right accommodations at the Seacrest Inn. Not only is it Pet-Friendly (dogs up to 25 pounds are welcome), but it is also very comfortable and even a bit rustic. With several unique and themed rooms to choose from, you can be sure to find just the right environment for your stay. There are also two cottages which are great for the family vacation. The owner is hands-on and always ready to help with even the smallest of details. The “Wicker Roses” room is economical and yet fits the bill for practically any stay. This budget-friendly room is cozy and bright and features a walk-in shower, hillside view and flat-screen television. The “Seashell” has a private entry on the first floor and has a queen size bed, flat-screen television, and faux fireplace. It also has a jetted whirlpool spa tub for two that is beautifully tiled. The most luxurious suite is called “The Loft” and even it is reasonably priced. This special suite has its own kitchenette, a soaking tub, oversized shower for two, and double vanity. The bedroom features a four-poster queen bed and is located on the top floor of the hotel. The “Sandcastle” is a cottage that can sleep up to six people. It features a full kitchen and is just steps from the beach. There is a king size bed, two twin beds, and a sleeper sofa. The sunporch is a great place to relax and gather to together during your stay. If you want a hotel that will give you one of the best deals on the Island, Casa Mariquita Hotel offers great discount rates. 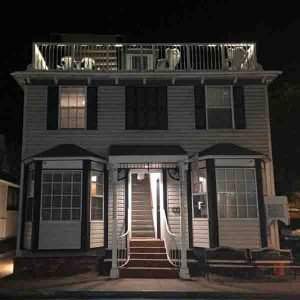 This is a family-owned hotel with 22 rooms to choose from located in the heart of Avalon. You can save up to 80% when you stay at this hotel. 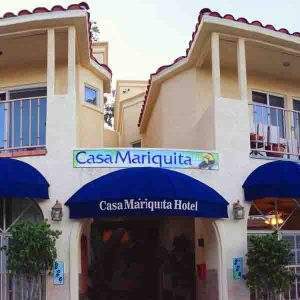 There is an abundance of things to do in the area and Casa Mariquita Hotel offers a central location at a great price. Furthermore, it even has its own beautiful courtyards where you can experience the most fascinating local birds. Featured is a special service to book ferry or tours for hotel guests. This means that you don’t have to worry about how to get to island from mainland. Just call the front desk staff who will help you book boat or helicopter tickets and various activity tickets. Casa Mariquita Hotel is just a few steps to the beach and yet it offers a very quiet environment for your relaxation and peaceful sleep. Built in 1990, the Casa Mariquita Hotel has the most compelling Spanish style among all the hotels in Catalina Island. The ambiance adds to your experience of Catalina Island and creates treasured memories for you to take home. Casa Mariquita Hotel offers a range of accommodations for its guests. It has 22 rooms with different settings and for different tastes. There are various room types to choose from including a few worth mentioning. A king room that is located on the second and the third floor has a full and partial ocean view from the comfort of your balcony. It has a king size bed and two double beds and private bathrooms, a flat-screen TV, and air conditioning making the room ideal for a family stay. The deluxe penthouse suite gives you a clear view of Avalon town and Avalon Bay. The room is located on the fifth floor. It has a secluded fireplace for relaxation. The room has a king size bed, a private shower, a full kitchen and two private balconies. The honeymoon suite has a spacious living room with fireplace and a bedroom with a private balcony overlooking the beauty of Avalon city, Avalon Bay, and a full ocean view. All the rooms have a refrigerator, air conditioners and other unique amenities that enrich your stay at Casa Mariquita Hotel.